Quinoa is very popular these days. More people are consuming quinoa because its a very healthy seed. Yes, a seed and not a grain. I love quinoa and cook it often. Yesterday at Costco, I saw a book titled Quinoa giving you all sorts of recipes with Quinoa. Inspired by that book I wanted to make an Indian dessert. This morning, I wanted to try making ladoo's with quinoa. Making ladoo is simple if we know how to work with the ingredients. When it comes to quinoa, I was wondering if I need to roast the whole quinoa and then powder or do the opposite. I did both, and found for this recipe it is best to powder the quinoa and then roast it in ghee to get the nutty flavor of quinoa and do away with the bitter after taste. In fact, it was hard to tell that it was a quinoa ladoo. To me it tasted like a cross between rava (cream of wheat) and whole wheat ladoo. 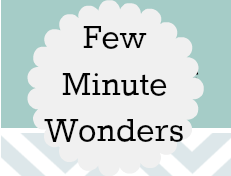 Super easy to make and gets done in minutes. Note: I recently, found out that ladoo's were considered a cookie. Note: I was notified by my sister and fellow bloggers that quinoa as a seed needs to be soaked in water and then cleaned and dried before making into powder like we do with any other grain. So please do add that step into making of the flour. 1. Blend the quinoa to powder ( not too fine). 2. Heat the heavy bottom wok with 2 tbsp. Add cashew nuts and raisins and allow for the nuts to turn golden and raisins to plump up. 3. Add the quinoa powder and start roasting/ toasting it, until all the raw smell leaves the mix. 4. Add sugar and cardamom and mix well. Remove from heat allow to cool so that you can work with it. 5. Add the remaining ghee and water or milk and bring it all together into a ball. Volia the quinoa ladoo/ cookie is ready. thats such a nice twist.. quinoa ladoo's :).. u would have huge sales if you started selling them :)..healthy deserts! really good one! Looks like rava ladoo. Perfect. Wow that's really very innoviative and superb idea !!!! Yummy ladoo !!! 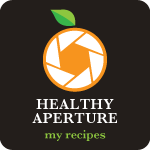 Nice texture,healthy and yummy ladoos. 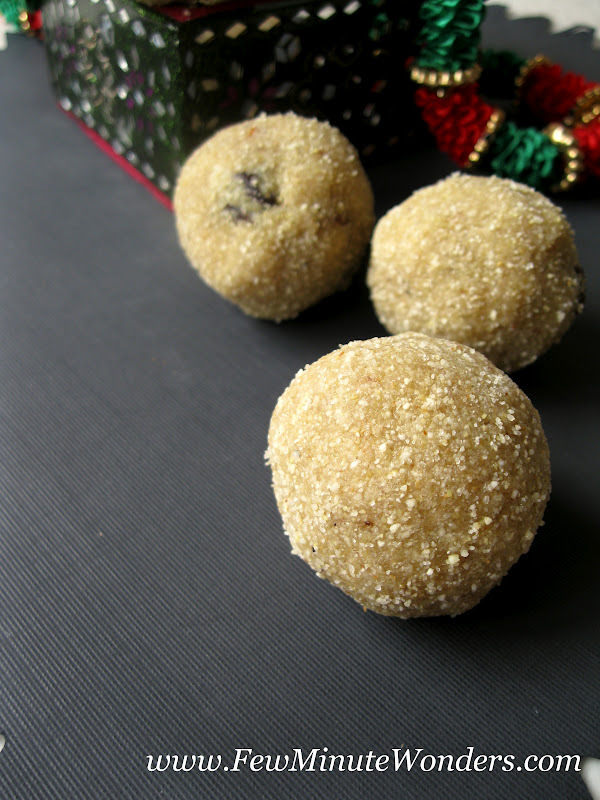 ladoos look simply awesome..very innovative recipe!! 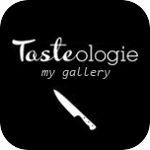 wow...wat a creative idea.....nice cliks. 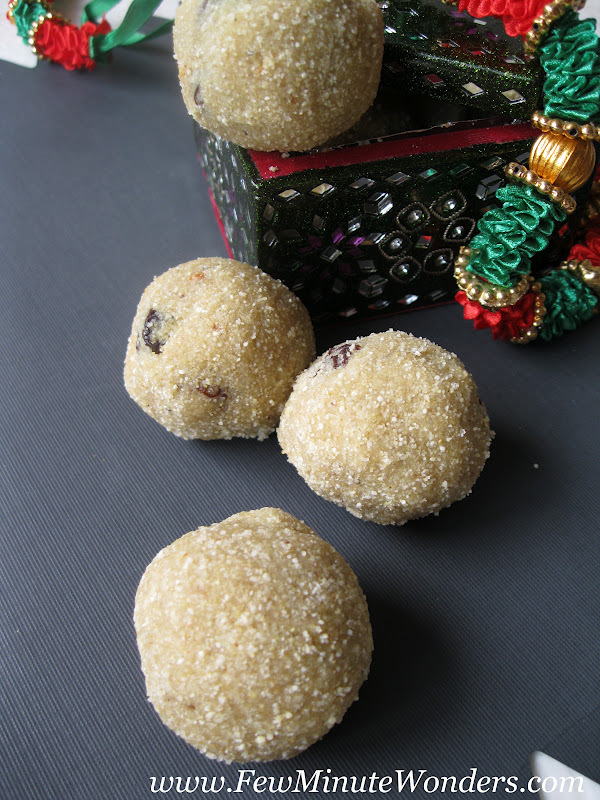 Even i tried few months back,laddoos looks super cute and yummy..
wow..very innovative..looks like Rava ladoos.. 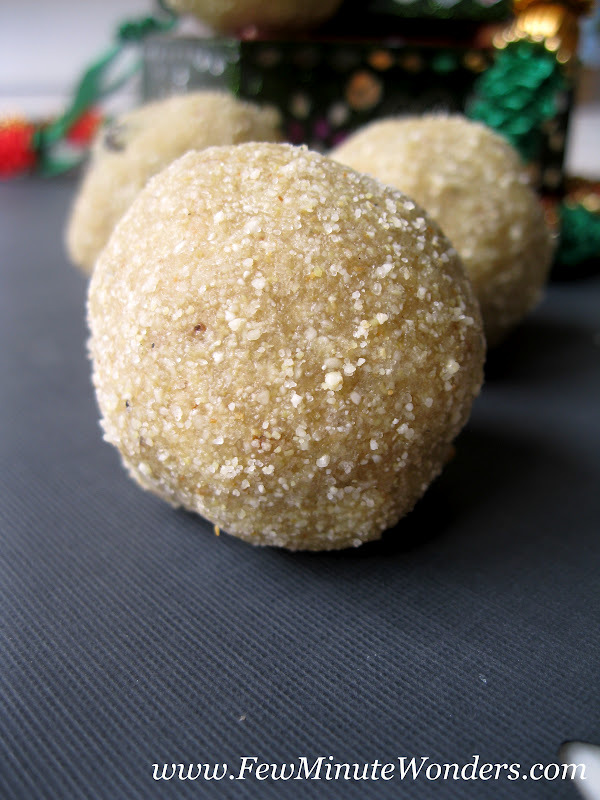 They look just like rava ladoos, very new idea..
Quinoa should not be consumed without rinsing. It has a coating of some substance to keep the bugs away. Just an FYI. You could rinse it clean, dry it on a towel, then roast and powder. Loved the innovative way you used it to make the dessert. Thank you Champa. I was just talking to my sister and she told me the same. I have made a note about this info in the recipe. I appreciate your input. Hi Srimathi. I've not had this seed till now but I do want to try it. Laddoos are cookies is something new for me, but love it anyways. Very innovative n delicious laddus!! 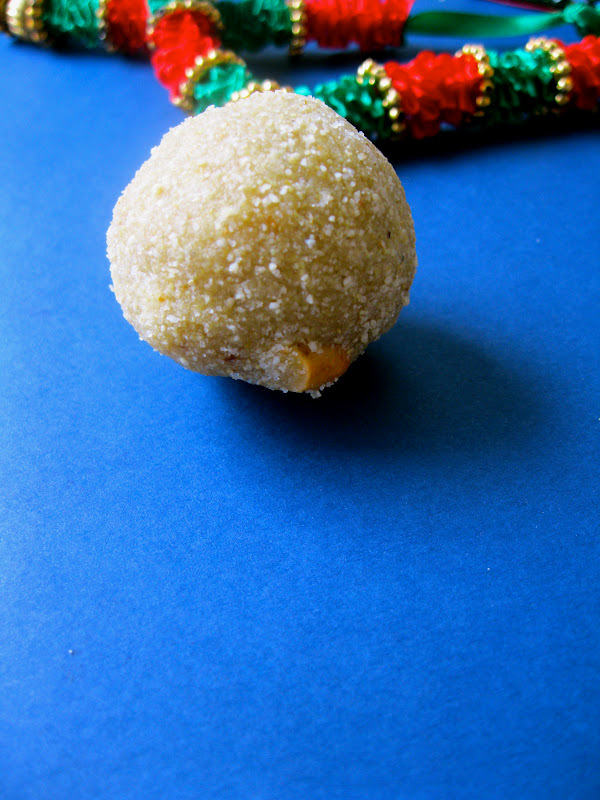 Super delicious and innovative ladoo. Looks delicious... just like rava laddoo!!! Innovative and healthy idea!! very interesting use of quinoa!